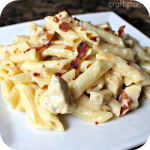 This chicken bacon ranch pasta is one of my favorite recipes to make at home! Although it’s not the quickest or easiest, it’s always a winner with my husband. What recipe that includes bacon isn’t wonderful? You can serve this with a nice side salad or some garlic bread. 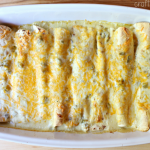 Another favorite chicken recipe of mine is white chicken enchiladas! Watch me actually make it in this video! Start by cooking your pasta, draining it, and setting it aside. While you are making your noodles; cook your bacon on a skillet, drain the grease but keep 1 tablespoon of bacon drippings in the pan. Add a tablespoon of butter to the bacon drippings and toss in your chicken breast pieces (cook until no longer pink/browned). Pour the ranch dressing mix and flour over the chicken then add the 2 cups of milk. Stir until it is bubbly and thick. 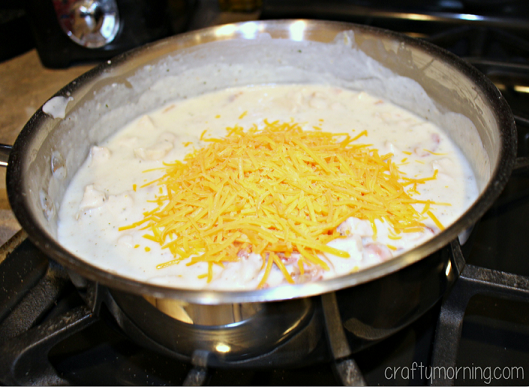 Add the cheese and half of your diced bacon pieces to the pan; stir until melted. Combine the sauce and pasta noodles together – add salt and pepper to taste. Top off the dish with the extra bacon pieces and ENJOY! 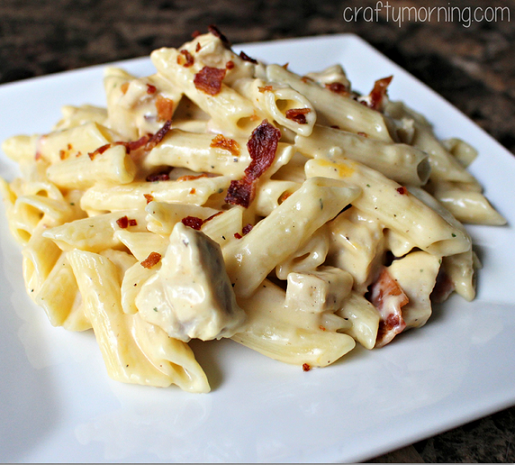 I made this tonight, but had to sub a packet of onion soup mix for the ranch dressing and 8 oz of sour cream for the cheese….delish!!!! Thanks! This recipe was awesome! Copied and filed into the Keep Folder. :-). made the recipe with leftover bbq chicken and i made my own ranch spice (chemical,and msg free). 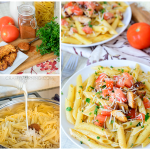 Family said it could possibly be their all time favorite pasta recipe!! I made this recipe tonight and it was delicious!! It fed our family of 5 with leftovers very well! I did do the 1/2 milk 1/2 heavy cream and it was superb! I will be putting this on our dinner menu more often! Thanks for a yummy recipe!! Cooked this tonight & it tastes delicious!!! Got 2 thumbs up from my hubby. I made this tonight for dinner. It was so good! I used 1 cup evap milk and 1 cup milk and mozzarella cheese instead of cheddar. I think you could add any veggie and it would be great! Next time I’m trying tomatoes. Made this but added sliced mushrooms with the chicken and steamed broccoli. cream….turnrd out great! Bet it would be good with other pastas. 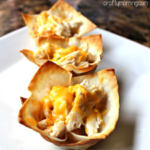 Thanks for posting this fab recipe. This was amazing. No one left any on their plates. Several of the kids ( I was baby siting, so I had 5 little girls) even went back for seconds. Thanks. Yeah, I would just do a mixture of parsley, salt, onion powder, and garlic powder to make my own. Maybe two tablespoons of parsley, and a teaspoon each of the other ingredients (would have to taste to get an exact measurement), but that gives you an idea of how to do it MSG free. oooooo I wish I had seen your comment earlier! I bet heavy cream made it taste even better! 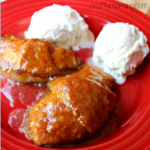 Wow that looks really good, I’m going to try and make it soon. 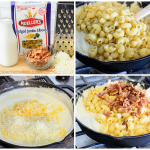 I fixed this for dinner tonight and everyone loved it,the only thing a did different is I use 1 cup milk and one cup heavy cream and it turned out great!!! Thank you for a great recipe. I’m 23 and live with my family. Each week I have to cook once and something different. My mom came across this recipe and I had to try it. I just made this for my family. It’s easy and fun to make. It taste really good! Can’t wait to try something new from this site. I made this for my family tonight. It was very good, but I felt like there were too many noodles for the seasoning. I think next time, I’ll cut the noodles in half and add more bacon. Thanks for the great recipe! I made this for dinner tonight after seeing one of my friends share it on FB yesterday. It was a big hit with my husband and four children. I baked my chicken instead of frying it. I always worry that it might not get cooked all the way through if I fry it. I served it with salad and French bread. You can generally find it near the liquid dressing, most common is Wishbone brand. I get it at Walmart all the time, it’s around $4 for 4 packets. Hope that helps! This is so good ! I’ve made it a few times now . I prefer it with bow-tie pasta Instead of the penne . Delicious! 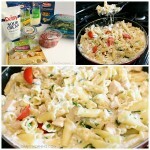 Just made this for dinner and all 4 of my kids loved it!! I made my own ranch dressing mix and it turned out fabulous. I also added broccoli. 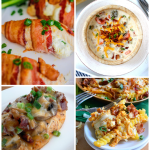 I am always looking for a good chicken recipes and I came upon this one and it was terriffic. My husband said he would definiately have this again. This dish has become one of my families favorites! It is delicious!! Had this tonight and it was delicious! Will definitely be cooking it again! Delicious. Added some crushed red pepper, but that was the only tweak I made. Just made this tonight! It was really easy & everyone enjoyed it. I even put some hot sauce in mine :) SO GOOD.Thank you!!!! Omg delicious. 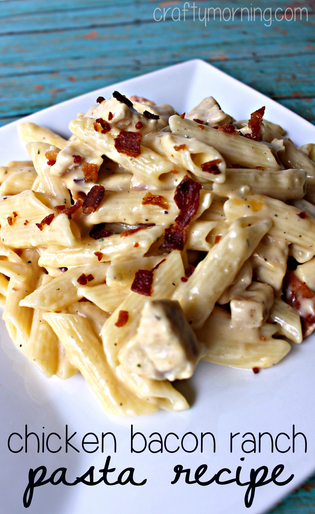 I just made this for dinner tonight so good. I found a recipe that you can make your own ranch packet seasoning!!! ITS DELISH! Pintrest rocked that one for me. I made this dish tonight and LOVED it! I tweaked it by adding minced garlic and onion to the chicken. Then I topped it with freshly grated parmesan cheese! VERY GOOD! Thank you for the amazing meal! Ranch packets have MSG in them. I try to avoid that. The only thing I have found close to it is Creamy Italian by Kraft. Does anyone know of one that is MSG free? Do you cook chicken in oven or skillet? Honestly I don’t think it would be good but I have never tried! Can you use the powder that says to put it in sour cream instead of the milk and mayonnaise one? 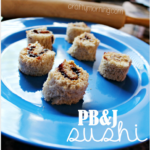 I want to make this but trying to avoid having to go to the store! I made this at my daughter’s request tonight for dinner. It was simple and very good just the way it was! I would definitely make it again!! 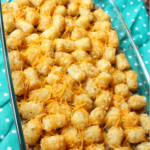 making this tonight for my family! thinking of adding some.tomatoes. Oh no please don’t use the salad dressing, I tried that once and it was awful lol. If it’s not in your grocery stores, it is at Walmart (see here). Just wondering if the ranch mix is actual dressing or a powder mix? I can’t find a powder mix do I bought regular salad dressing! Help? This dish is amazing! I added peppers, onion, garlic, cherry tomatoes! Deelish!